Rich people buy assets, middle-class people buy liabilities that they think are assets, and poor people only have expenses. If you want to be rich, stock up on assets that will generate a good cash flow for you. An asset puts money in your pocket, while a liability takes money out of your pocket. This is the definition of an asset and a liability—make sure you understand it. Apply the above definition to real life. When trying to differentiate between the two, take into consideration the cash flow, time, taxes, bank loans, etc., that will go into and come out of the asset/liability. 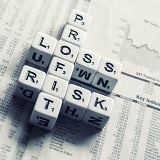 Are you making a profit or a loss? If you are making a loss, it’s a liability and you should stay away from it. If you are making a profit, it is an asset and you should buy it! Know the real assets that will help you become rich. Businesses that do not require your presence: you own them, but they are run or managed by others. Royalties from intellectual property (e.g., patents). Of course, this is not a complete list of real assets, but it’s a good starting point.